The couple headed to California with their fam jam! 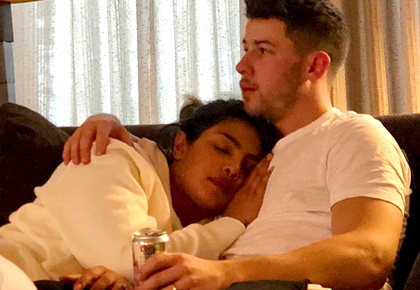 Priyanka Chopra and hubby Nick Jonas celebrated Super Bowl Sunday in the best way possible along with Joe Jonas and Sophie Turner. 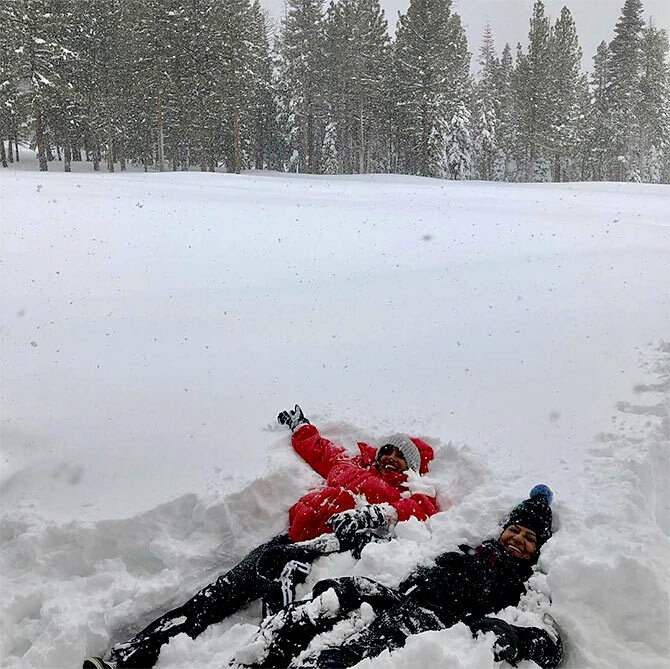 The foursome, along with PeeCee's mum Dr Madhu Chopra and many more members of their family, took off to scenic Mammoth Lakes in California. 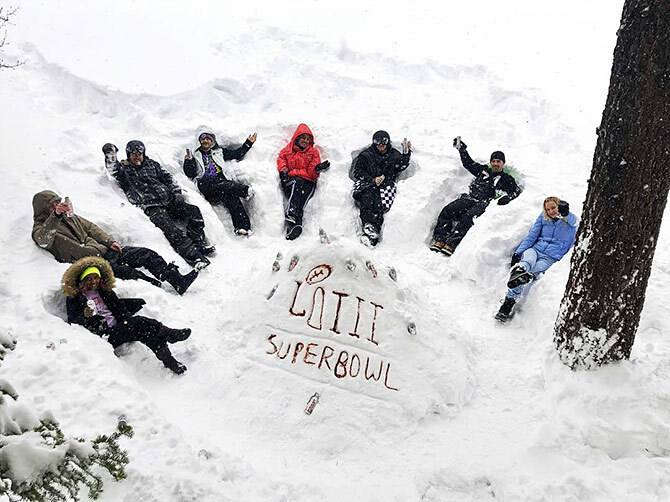 From making a beer tower to sipping one while sleeping in the snow, Nickyanka did it all! Sharing this picture on his Insta feed, Nick writes, 'Happy super bowl Sunday everyone! 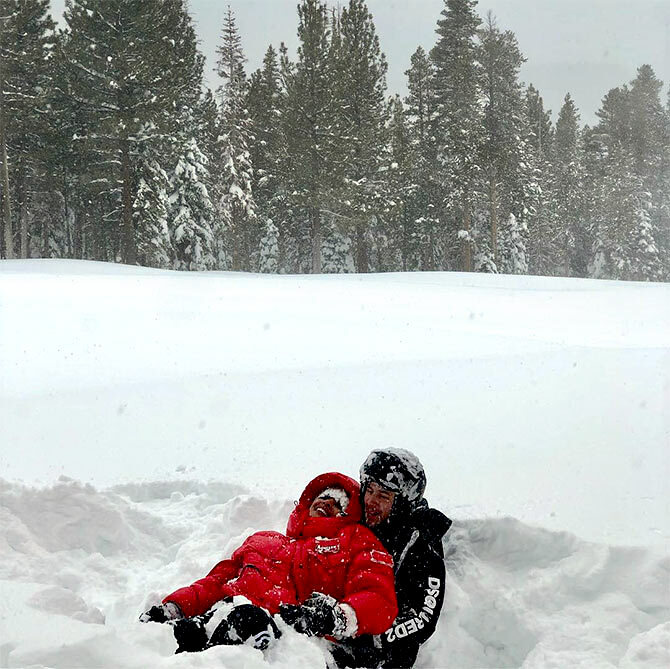 @priyankachopra @sophiet and @joejonas made this incredible winter tundra hang full of cold refreshing beers! Life is good. #superbowl'. 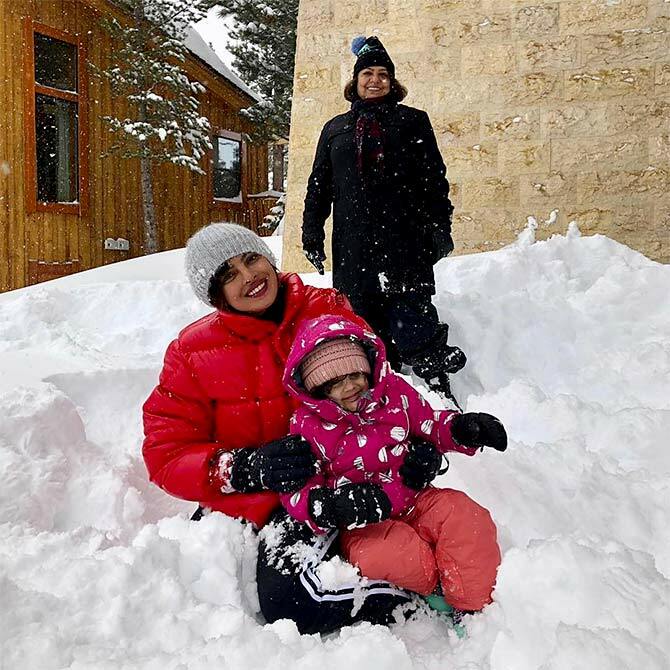 It's playtime for Priyanka and her niece Sky Krishna while Madhu Chopra is all smiles. Alright, these two are legit #couplegoals, right folks? And that's the best way to enjoy winters with your mamma bear! Game Of Thrones star Sophie joins the bandwagon. 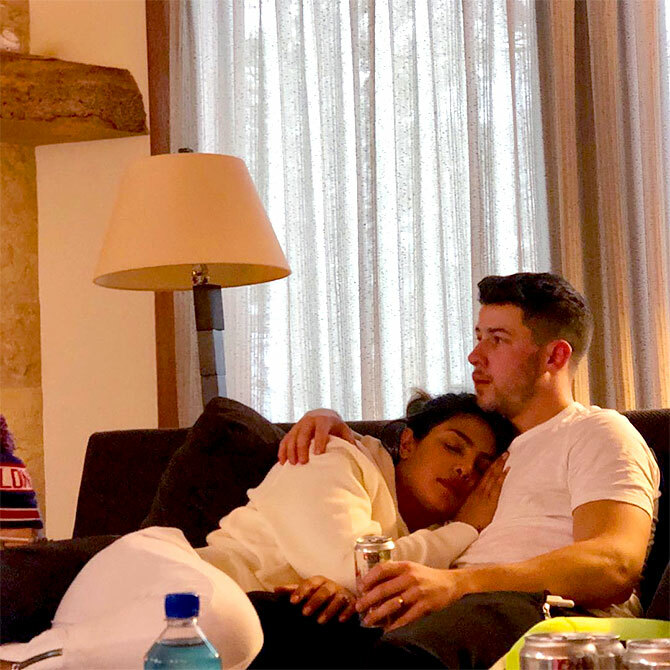 After getting all down in the snow, Priyanka take a nap.